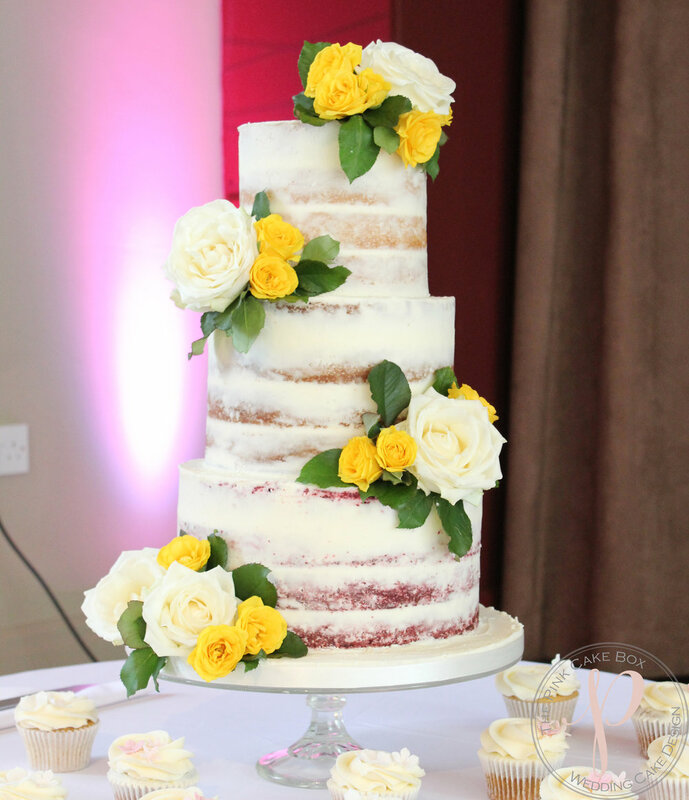 They chose a semi naked wedding cake dressed with fresh flowers from their florist, Darling Buds in Baslow. Tiers of Red Velvet with vanilla pod buttercream, Salted Caramel with salted caramel dulce de leche and vanilla pod buttercream and Madagascan Vanilla with raspberry preserve and vanilla pod buttercream. Also there were 12 vegan cupcakes in Madagascan Vanilla and Sticky Toffee Date. Yesterday was the hottest day I've ever had to set up a semi naked cake and I'm not going to lie it was quite stressful! Hoping for cooler weather for my semi nakeds in marquees over summer! And for fans and air con! !